Keeping pace with technological innovation, Ceba Gears further enhances its productive capacity, introducing new machines to meet market requirements. 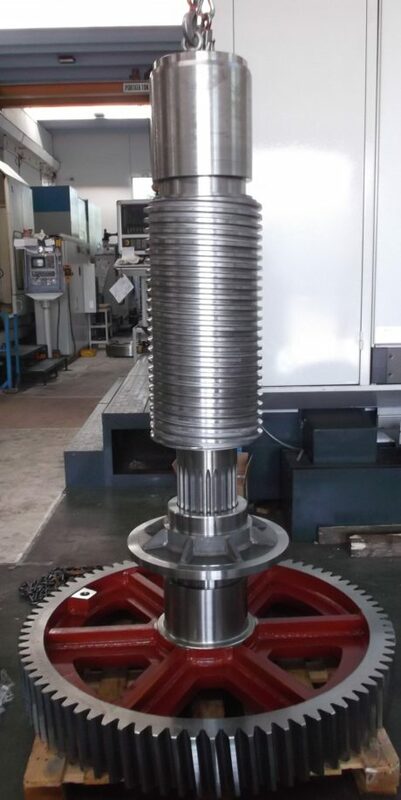 Production of gears, endless screws, racks, toothed pulleys, grooved shafts and all grinding types on gears, holes, endless screws and racks. This is the core activity of Ceba Ingranaggi at Carate Brianza (Monza, Italy), company that, at the threshold of its almost first fifty years of activity, prosecutes its course, focusing once more on innovation and technological upgrading. An attitude never given up, neither in the difficult times of last years, thanks to undisputed financial soundness and its owners’ entrepreneurial farsightedness. 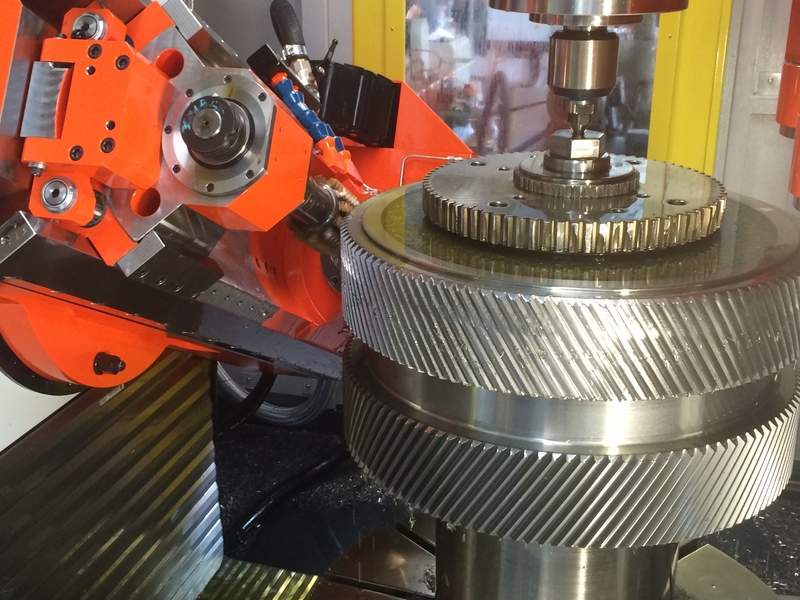 Grinding process of bi-helicoid gear involute. «Certainly, it was not an easy path – explains Fabrizio Cesana, who manages the company with his sister Loretta – but it has allowed us to reorganize at best all flows of job order management, from the technical and accounting offices to production and delivery to customers. A won challenge that has permitted us to face, suitably prepared, the more and more positive and consolidated market recovery, in course for some years now». The 2017-year, too, in fact, scored a very positive global trend for the company, mirroring the same tendency as the previous year. «Whereas the first months of last year – specifies Cesana – were quite conservative in terms of acquired orders, since May onwards we have noticed a sudden acceleration. Trend that has decreed a further general increment of the fields we supply with the production of gears for machine tools and steel mills». Results that have allowed Ceba Ingranaggi to grow. Not only increasing the turnover and exceeding 8 million Euros but also from the organizational point of view, integrating new professional figures and new technologies in its inside. «With prospects for the current year and for 2019 – adds Cesana – that should not betray expectations, still confirming this positive trend». For this reason as well, the company is planning the possibility of looking for new spaces that might further enlarge (from the current 4,500 sq.m.) its available productive surface. Manufacturing companies must satisfy a neatly recovering market, as already underlined, deploying not only high productive capacity but also flexibility and operational rapidity. Ceba Ingranaggi has always paid great attention to all these aspects for years, investing huge resources in process and technology optimization. Ceba Ingranaggi, headquartered at Carate Brianza (Monza, Italy), carries out its activity on a productive surface of 4,500 sq.m. «In the course of 2016 and 2017 – specifies Cesana – we integrated the production with 6 new machines, two grinders and four new CNC hobbing machines with 4.0 technology. In the first semester 2018, they will be joined by a new grinding machine to carry out special machining operations, still with 4.0 technology. To grind internal toothing, for instance, as well as to grind those gears where there is not sufficient grinding wheel stroke, then involving the need of using very small grinding wheels. As usual, not standard machines but developed according to our precise technical specifications. An indispensable customization to keep pace with the more and more severe market requisites and to grant the highest competitiveness level». Technological upgrading that in time has led the company to rely on an increasingly equipped production unit, to carry out machining operations on gears from a minimum diameter of 10 mm up to 3,000 mm. «State-of-the-art equipment – adds Cesana – allowing at the same time fast execution and machining quality, with in-process tests and/or moving the workpiece to our metrological division, on 6-axis Zeiss systems for the final control and certification. Without then neglecting the aspects more connected with the operator, increasingly facilitated in the execution of his activities». The company has always demonstrated the highest attention to this issue, too. «Concerning this matter – specifies Cesana – last year we equipped the workshop with air conditioning, certainly making healthier the environment where our employees work daily. With a benefit for processes as well, due to a more thermally controlled environment». The visit to the company was also a fruitful opportunity to ask a reflection about Industry 4.0, as well as about the need and the possibility of carrying out research and development activities in this sector. «The concept of Industry 4.0 – points out Cesana – is perhaps more easily applicable and directly surveyed in realities where a mass production prevails. For activities like ours, where each single batch is very often composed by a single unit, special components upon design, which require very long machining phases, the focus must necessarily concentrate more on the optimization of the entire process, rather than on single phases. From estimate to delivery. Certainly, the connection of all machines in net is undoubtedly a great benefit, which allows checking in real time the progress state and the compliance with the planned times. However, I think we still need some time to accomplish this transformation in fields like ours». Regarding research and development, Cesana highlights instead what his technicians are implementing in tool ambit: «Hand in hand with the customary activity – he explains – we are carrying out numerous and continuous tests with new tools, equipped with very performing cutting edges, on which we are attaining interesting results. Outcomes enabled by the new purchased machines, whose contribution allows and will allow us to enhance our competitiveness further». Ceba Gears is very active also in training ambit (constantly involving in stages young students attending the Technical Institutes of the zone) and in the collaboration with Universities, like Milan Polytechnics. «In the latter case – ends Cesana – the collaboration results also in a concrete support to Polimi Sport for Formula Student SAE and Motorcycle Factory, for which we produce some gears». With more than 1,500 participating students, 60 Universities coming from all over the world, Formula Student and Motorcycle Factory are more and more becoming a consolidated reality in the survey of student autosport and motorsport competitions. The target of each team is designing and implementing the race prototypes to compete with the other Universities on European circuits.